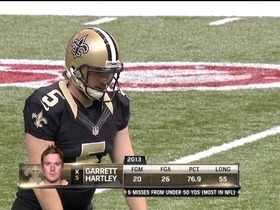 There is no recent news about Garrett Hartley. Click here to access all the latest player news. 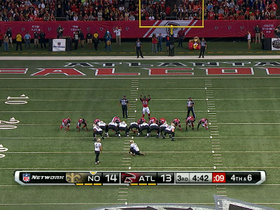 (1:54) G.Hartley 26 yard field goal is No Good, Wide Left, Center-J.Drescher, Holder-L.McCown. 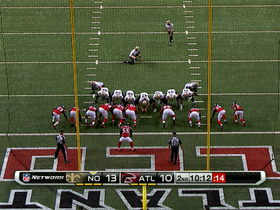 (:06) G.Hartley 36 yard field goal is BLOCKED, Center-J.Drescher, Holder-L.McCown. 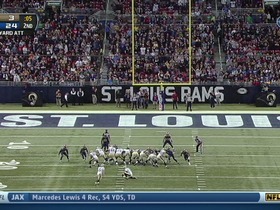 Partially blocked by SL #90 Brockers. 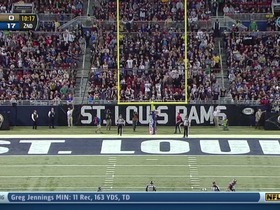 (10:20) G.Hartley 45 yard field goal is GOOD, Center-J.Drescher, Holder-L.McCown. 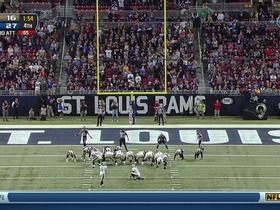 (4:21) G.Hartley 19 yard field goal is GOOD, Center-J.Drescher, Holder-L.McCown. 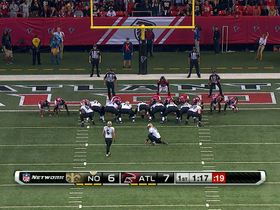 G.Hartley 41-yard field goal is good. 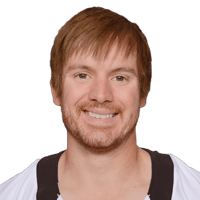 G.Hartley extra point is good. 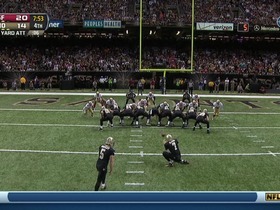 (:03) G.Hartley 31 yard field goal is GOOD, Center-J.Drescher, Holder-L.McCown. 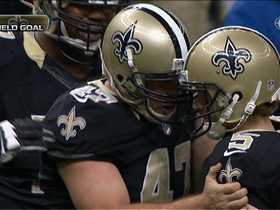 (7:53) G.Hartley 21 yard field goal is GOOD, Center-J.Drescher, Holder-L.McCown. 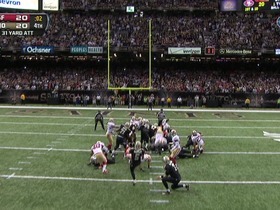 New Orleans Saints kicker Garrett Hartley helps his team move to 8-2 with this game-winning 31-yard field goal against the San Francisco 49ers in Week 11.